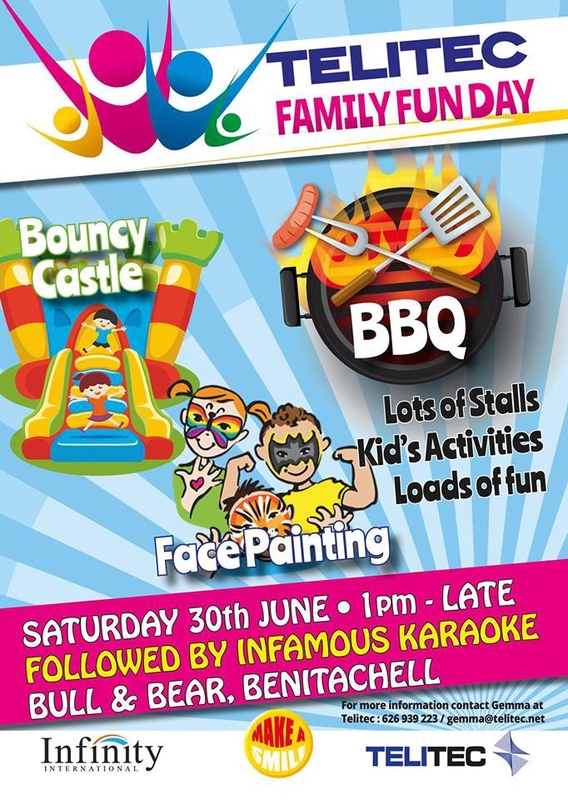 The Bull and Bear in Benitachell is hosting our amazing Telitec Family Fun Day in aid of Make A Smile in June! 🎤 The Bull & Bear (in)famous KARAOKE! Bring the whole family on Saturday 30th June from 1pm (until late!) to support Make a Smile and have an amazing day!